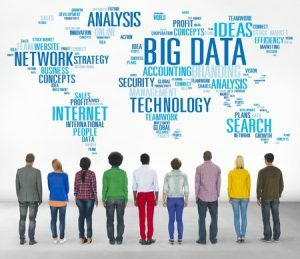 What does the term “customer data” mean to you? Many tech-savvy marketers will imagine a magical dashboard showing customer churn rates, pipeline velocity, lifetime customer value and the cost to acquire a customer. And the topic of customer data is top of mind for many CMOs in my community. Let’s examine why a frenetic level of focus on technology-generated customer data is often a waste of marketing resources. Today’s marketing leaders can mine customer data in a growing number of places: social posts, the point of retail, website analytics, focus groups, investor feedback and live events. This panoply of sources lulls us into believing that we must rely on quantitative data to make sense of it all, to drive decisions, and to pacify our boss. It’s likely your competitors are doing exactly the same thing. And, like you, they are probably missing out on emotional clues and new product ideas which are often undetectable by analytics engines. The volume of customer data from which marketers can take action can be unmanageable. Hiring data scientists takes immense resourcefulness—often causing other important marketing initiatives to suffer. Customer data generated through social channels only comprise half of the information needed to take action. For more detail on these three reasons, take a look at the complete Huffington Post article here. I also share two time-tested data collection strategies worth re-visiting—including one strategy that helped me earn a five figure top name brand client and three speaking engagements. There is no customer analytics tool that can replace our higher levels of consciousness, which we cultivate through customer conversations and interactions. Consciousness guides our empathy, compassion, and inner wisdom. As of this writing, humans have not learned how to clone consciousness through technology. Consciousness guides and enriches our customer experiences. Over time, those experiences and memories fuel our ability to take wise action. Those actions will outweigh even the most sophisticated analytics report. What action will you take immediately to discover hidden customer treasure? Are You Creating a Digital Marketing Disaster? parliamentary committee (known as the DCMS committee). and misuse of people’s data.